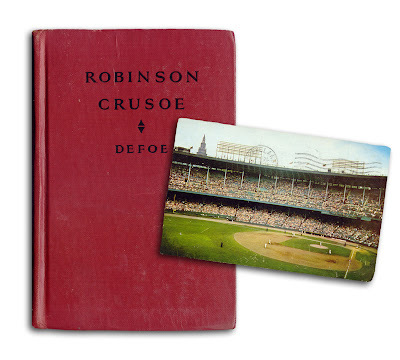 Postcard featuring Cleveland Municipal Stadium, home of the Indians. 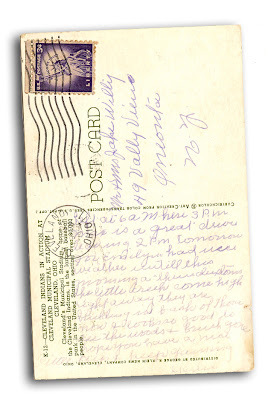 Postmarked June 25th, 1959. Found in "Robinson Crusoe" by Daniel Defoe. Published by Saalfield, no date.